Cough Syrup | Become Healthy or Extinct! 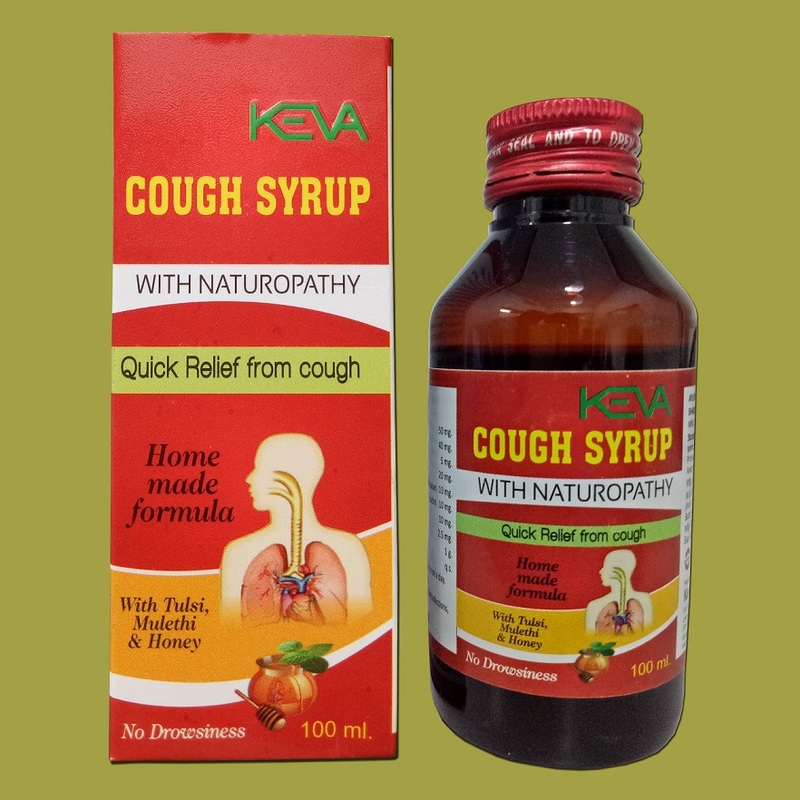 Description: Keva Cough Syrup is blended with all natural ingredients which are internationally proven to be helpful in different conditions such as cold, cough, respiratory infections, flu & sore throat etc. No Alcohol, No Addictives, No Drowsiness, Age old traditional formula. Benefits: It is a good anti allergic, expectorant and relieves congestion, cold, cough, respiratory infections, flu & sore throat etc. Directions for use: Adults: 1-2 teaspoonful thrice a day, Children: ½ teaspoonful thrice a day. Shake well before use.